Happy Halloween San Jose! So where is the best place to go Trick-or-Treating tonight? Willow Glen? Evergreen? Almaden? Post in the comments. Pop-Up Shops Galore Coming Downtown! Are you ready for some amazing news? Last week I posted about therethere opening their first retail store in Downtown San Jose. Well, it turns out they will have a lot of company during the holiday season. A total of NINE pop-up stores will be opening by November 7th!!! These popups will be occupying underutilized spaces both indoors and outdoors, including the lobby of the San Jose Rep. This is a win all around... a win for local entrepreneurs, for Downtown residents and visitors, and for current Downtown retailers that have been yearning for other businesses to open up shop and help attract a critical mass of shoppers. Times are changing and over the new few years we may see the same explosive growth in Downtown retail that we have with the restaurant scene in recent years. Please read the release below and patronize these businesses. 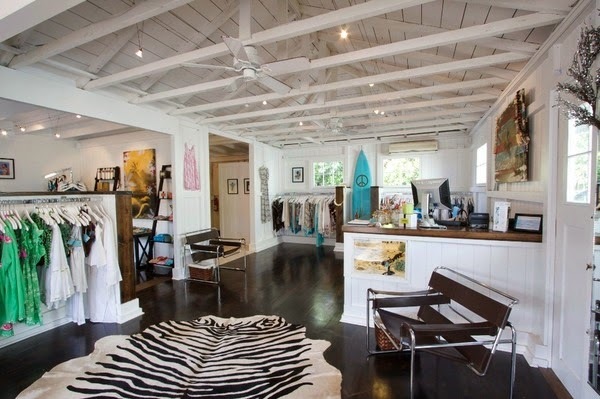 Let's help our local entrepreneurs succeed Downtown and prove that retail can work here! SAN JOSE – Nine “pop-up” stores will open during downtown San Jose’s holiday season when more than half a million people visit the center city. The new shops are occupying underutilized indoor and outdoor spaces downtown, including vacant storefronts such as the former San Jose Repertory Theatre lobby. 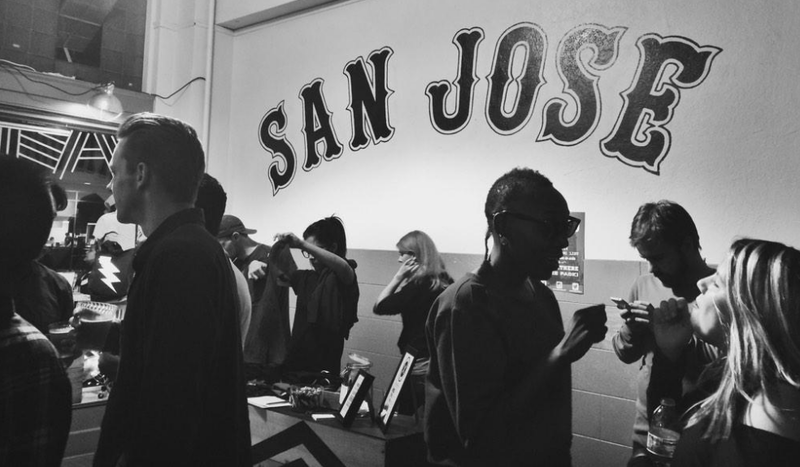 Civic pride apparel provider Therethere x SJ, opened its doors Oct. 24, sees the San Jose Pop-Up Project as part of downtown’s evolution, where arts, innovation and entrepreneurial spirit thrive. “Not only do we hope this pop-up microhood activates the downtown corridor and supports independent business, but we also hope to encourage people to explore downtown and shop locally,” said Chinwe Okona, project manager of Therethere x SJ. All of the stores are expected to be open by a pop-up event Nov. 7, coinciding with the popular monthly South First Fridays art walk. The shops will remain open into January. San Jose Downtown Association and the City of San Jose Office of Economic Development started the process of matching retailers and non-profits with vacant and underutilized ground-floor spaces in the downtown core about six months ago, said Nate Echeverria, SJDA business development manager. 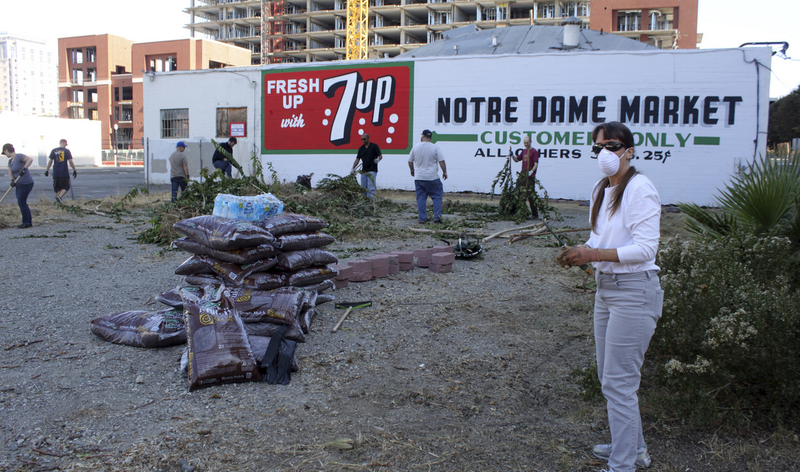 The “pop-up” or temporary retail could grow into something more permanent, Echeverria suggested. “We want to catalyze the next wave of retail to downtown,” said Lee Wilcox, city Office of Economic development downtown manager. Operating retail outlets from shipping containers is a first for downtown San Jose. The city-sponsored Pop-Up Project highlights downtown San Jose’s potential, said Jaymer Delapena of First Article consortium of men’s wear developers, who also will be stationed in a container. “We’re participating partly to showcase our community and a simple, yet innovative approach to retail in an urban setting,” he said. San Jose Bike Clinic and Cowgirl Bike Courier hope to create a cycling hub that raises enough funds to move its clinic into a permanent location, said Cain Ramirez of Cowgirl and Corinne Winter, president and executive director of the Silicon Valley Bicycle Coalition. For Underground: A Fashion Boutique, the Pop-Up Project serves as a chance to reunite with former downtown customers, said owner Sam Garcia. Garcia previously operated the record store and clothing store OnFirst on South First Street. 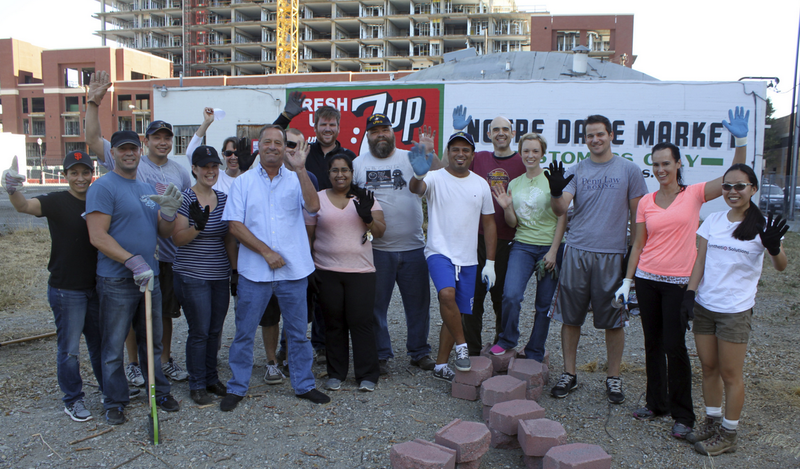 As the Pop-Up Project gained momentum over the summer, others came forward to help, including Tracey Ariga of Gensler, graphic designer Ben Henderson, and Spartups tech accelerator managing partner Saif Akhtar. “We hope to inspire the public to take a peek and discover what the buzz is all about,” Ariga said. 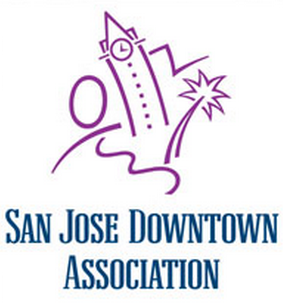 The San Jose Downtown Association (SJDA), established 1986, is a non-profit group of business and property owners working to improve the vitality and livability of downtown San Jose. SJDA advocates on issues that affect downtown business and property owners; enhances the image of downtown and attract new visitors through year-round marketing, public relations, and special events; and collaborates with its Property-Based Improvement District (PBID) for ongoing improvements to downtown’s cleanliness, security, aesthetics and delivery of services. In honor of Halloween week, I have what is becoming a San Jose Blog tradition... a Wednesday Wishlist post for Halloween in the Park. The idea is to build on the momentum that Christmas in the Park brings to San Jose each year and create something of similar scale in October with Halloween in the Park! A lot of the infrastructure such as wiring, lighting, and booths might even be able to be shared between the events. 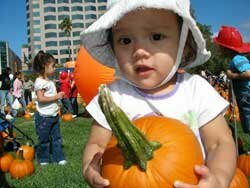 The goal would be to make Downtown San Jose the epicenter of October Halloween experiences. Below you will find brainstorming ideas we have collected for this concept so far. Please have a look and provide your feedback and suggestions in the comments. Thanks! The largest draw to Downtown San Jose for many years now has been Christmas in the Park. It has continued to grow year after year and brings in visitors from all over the Bay Area. It's economic impact is substantial and helps keep many Downtown businesses afloat. May be possible to use new controllable lighting that can go from Halloween colors to Christmas colors with the push of a button, allowing the lights to stay up for Christmas in the Park as well and reducing setup/take-down effort. Booths with candied apples, chocolates, candy, pumpkin seeds, etc. ZERO1-style, but with a Halloween spin. Instead of the sponsored Christmas trees in Christmas in the Park, how about decorated Pumpkins (can even be Styrofoam so there is no mess/decay)? Pumpkin carving station for families. 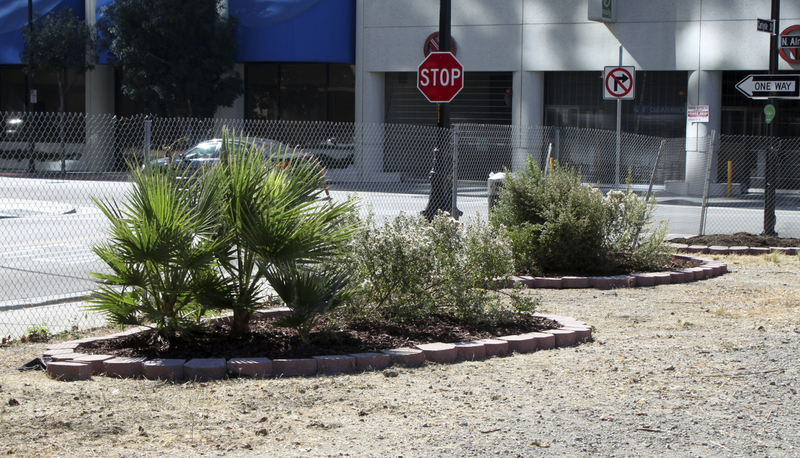 Would be ideal if these were nearby, perhaps in vacant retails spaces, surface parking lots, the convention center, or at SJSU. 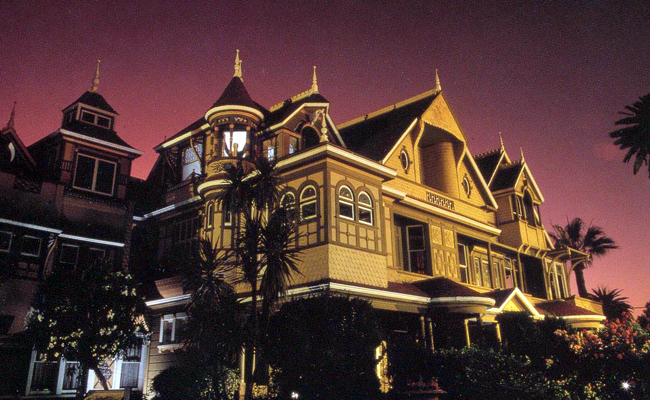 Could partners with one of the established San Jose haunt providers such as Deadtime Dreams or The World's Largest Haunted House. As in previous years, please post your suggestions below and I'll merge them in! Back for their third year next to a pumpkin patch near Eastridge Mall. They have 2 haunts, which were quite well done despite having fewer actors than some of the places below. There is also a neat midway that connects all of the attractions and features a Halloween store. They are known for a very long maze with seemingly never-ending black corridors that break up the scares. For me personally, this is the single scariest maze in the Bay Area. 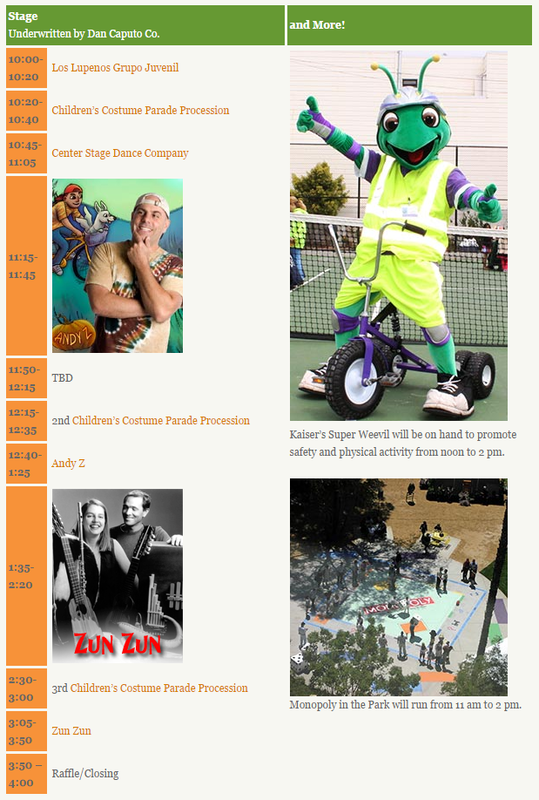 Still the largest Halloween event in Northern California. Now in its seventh year, the word has gotten out on Halloween Haunt and the park is packed even on day 1. There are now 9 haunted mazes, a single haunted ride, 3 scare zones, and various shows (3 of the mazes are new this year). Most rides worth going on are still open--including the new Goldrush--and the roller coasters are being run with all the lights turned off. I would also recommend the Academy of Villains show, which was 100 times more impressive than what we were expecting. 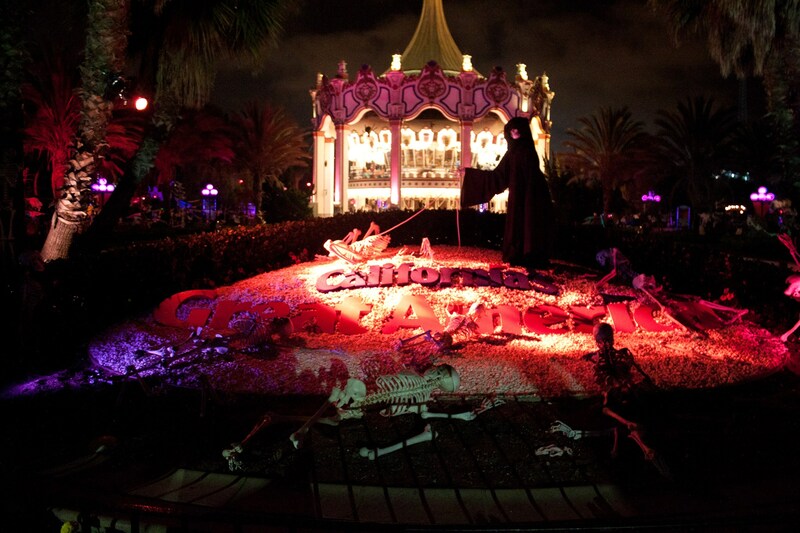 This year there is a new option to get a front of the line pass with a skeleton key that unlocks bonus scares in 5 of the haunts. If you go for the key, do not drink the blood in Roadkill Roadhouse... spoiler alert, it tastes like blood and will make you gag. The preeminent Bay Area Halloween event for almost 2 decades always provides a stellar experience. There are 5 haunted mazes this year, a Halloween Carnival, and several micro-attractions. This is MUCH MORE intense than Great America, so don't bring your young children. You'll get scares from every angle, including above and below you. The haunts are extraordinarily well done, and they only let in small groups. This was the biggest surprise of last year and is extraordinarily well done. The groups are limited to only 2 people, there is quite a bit of acting and storytelling, you have interactive elements like hidden doors, and there are lots of surprises. This is a brand new event for 2014. It wins the award for best ambiance hands down give it is hosted in a 102-year-old abandoned train station. Inside are 3 different haunts, all of which are very different. Contact takes place entirely in a single room, Kaiju has a prop that will blow you away, and Platform 13 was my pick for the single best haunt for this year. It is a bit of a trek to get here from San Jose, but is completely worth it. Taylor Morrison has acquired 8-acres of dirt at the intersection of Monterey Highway and Montecito Vista Drive. 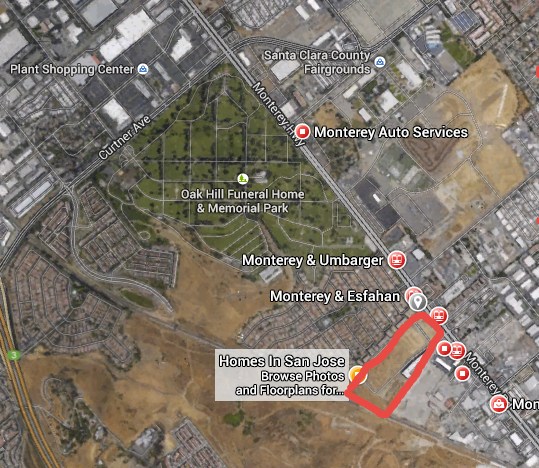 The location is near the Plant Shopping Center and The Santa Clara County Fairgrounds. The plan is to build 184 townhomes across the land ranging in size from 1,400 SQFT to 2,000 SQFT and having 2-4 bedrooms. This is part of a larger master-planned community called Montecito Vista, clocking in at 30-acres. Lennar is also building a 100-unit project next door called Astoria. The Taylor Morrison project will begin construction in about a year with models opening up April 2016. 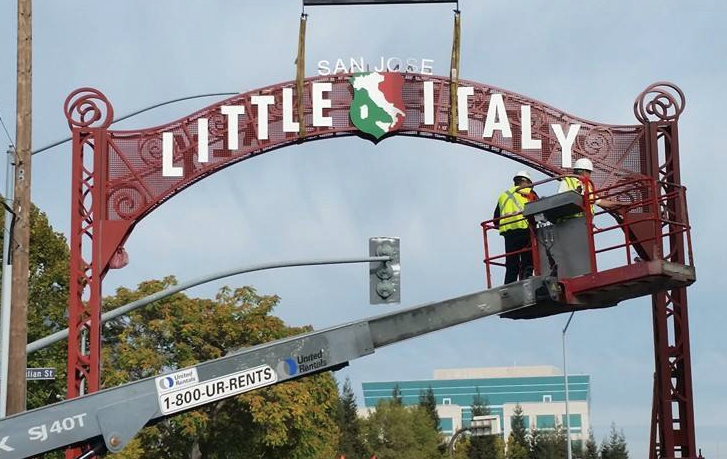 Little Italy San Jose Sign is Up! 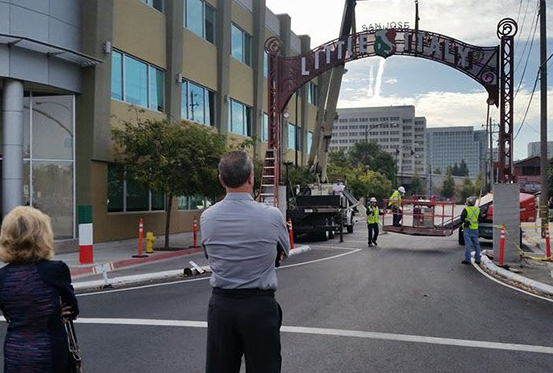 The Little Italy San Jose arch is finally in place and it looks amazing! Workers from S&S Welding put up the arch, which still needs to be accented with brick and marble. Completion is expected by November 14th. You can already anticipate a big celebration to mark this milestone in the neighborhood's history sometime in November. According to Nerdwallet, you should definitely fly out of San Jose instead of SFO or Oakland this holiday season if you are worried about being on time. San Jose has the lowest percentage of delayed flights in the region, especially on Southwest or Alaskan. In fact, SFO is the country's 2nd worst airport during the holidays when it comes to delays. If you factor in the amount of time you will also save getting through security and to the gate, the choice becomes even more clear assuming there is not a huge price gap. 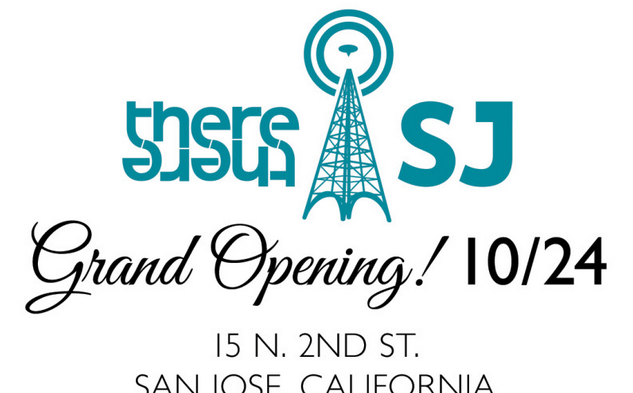 therethere Opening First Retail Location in Downtown San Jose! therethere is a civic pride apparel and lifestyle brand (check out the Electric Light Tower in their San Jose logo below). The company hopes to help create a hub for innovation and community for San Jose that showcases local artists and nonprovies as well as augmenting the entrepreneurial spirit already growing in San Jose. They sell apparel for several different cities across the US, but they are opening their very first retail location at 15 N 2nd Street in Downtown. Each week they will be open from Wednesday through Saturday from 11am to 7pm. Their grand opening is today and they have a reception from 5pm to 10pm! Drinks will be provided by Cafe Stritch and there will be performances by Tara Alesia, Bascom, Boboso, and Pete Munoz. A portion of the proceeds from the grand opening will be donated to the Downtown Streets Team, which works to end homelessness by restoring dignity and rebuilding the lives of unhoused men and women. In addition, therethere gives 10% of each month's proceeds to a nonprofit (the San Jose Public Library Foundation was a benefactor of this already). 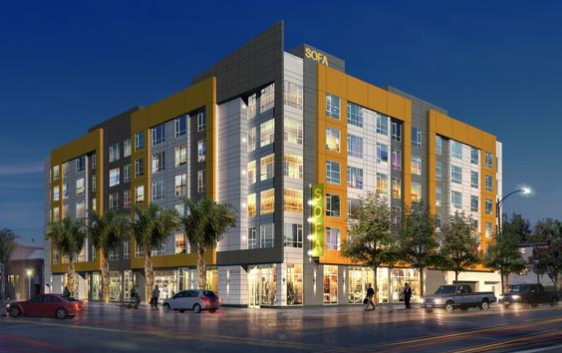 Sounds like a great addition to Downtown San Jose's slowly but surely growing retail scene. For more information, check out the therethere website over here. With therethere X SJ, we’re hoping to create a hub for innovation and community for San Jose that showcases local artists and nonprofits, and boosts the entrepreneurial spirit already growing in SJ. We’re also super proud to be a founding member of the San Jose Popup project, spearheaded by the San Jose Downtown Association. This popup microhood will activate the downtown corridor with a mix of retail, tech, and community spaces, and work collaboratively to support independent businesses, encourage people to explore downtown, and shop locally. Also, we’re having a party. I mean, celebration…I mean, celebratory party! Friday, October 24th, from 5pm to 10pm, come down to the shop to check out the new space and hear some live music. Stay tuned for artist info, coming to you soon! While it was just recently that I posted about the planned upgrades to BART that will come just in time for BART's expansion to San Jose, there are already some other great ideas out there that would be nice to have in our mass transit system. London is going to start getting next generation trains for several of its lines in 2022, and there are three great ideas that I would love to see incorporated into BART. 1.) Autonomous Trains - Improved safety, reliability, and a permanent end to BART strikes. 2.) 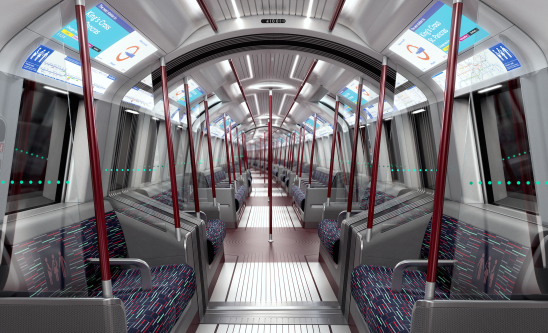 Continuous Trains - Instead of having a series of connected cars, the new tube trains will be one single super-long cabin that can bend. This substantially increases capacity and access. 3.) Safety Doors - There will be no chance of falling onto the tracks since there will be a second set of door that are synced with the trains and only open when there is a train parked at the station. 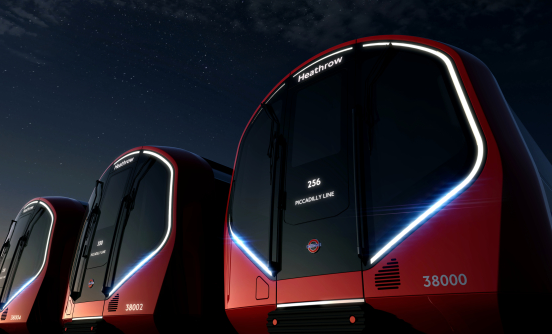 See the video below for a sneak peak at what is coming next decade to London. Note several elements of the new London trains are incorporated into the new BART trains like more doors and digital signage. I'm spreading the word on an upcoming five-course dinner featuring tasty brews from Lagunitas Brewing Company because it's going to be a good one. The beer dinner will take place on Thursday, Oct. 23, at Scott's Seafood and promises to be a great treat for those both experienced with beer dinners already and those new to the delights of such events. The dinner will take also place on the sixth-floor rooftop, providing a unique setting with great views of downtown. Check-In: Smoked salmon crostini and calamari with lemongrass beurre blanc. Paired with Lagunitas Daytime Session IPA. Getting Started: Marscapone stuffed dates. Paired with Lagunitas Hop Stoopid Double IPA. Round Two: Spinach salad with Mandarin oranges, toasted almonds, goat cheese tossed with a poppy seed dressing. Paired with Lagunitas Censored Copper Ale. Main Course: Mahi Mahi with pineapple relish served with coconut rice and bok choy. Paired with Lagunitas Little Sumpin’ Sumpin’ Pale Wheat Ale. Sweet Finale: Pumpkin cheesecake. Paired with Lagunitas Imperial Red Ale. The dinner is $45, and tickets are available for purchase online. I've written a bit more about the dinner on Examiner.com. 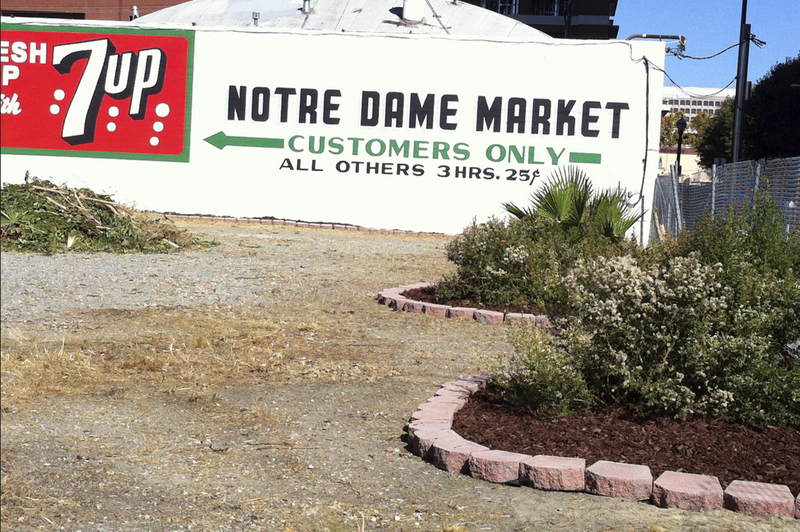 A bunch of Axis residents have gotten together to help clean a vacant lot next to the newly restored 7up sign between Notre Dame Ave and North Almaden. 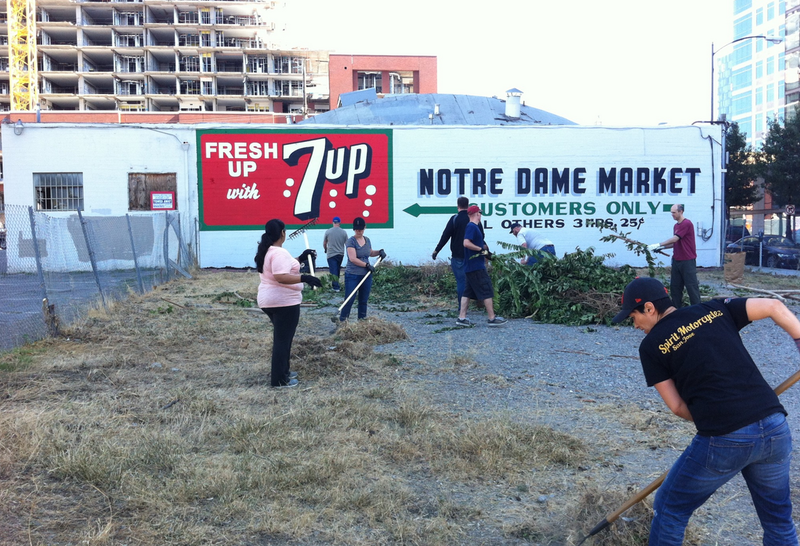 They cleared out most of the weeds and added some nice landscaping on the perimeter of the lot. It's really nice to see Downtown residents taking pride in where they live! San Jose's International Technological University (ITU) has been a relatively small graduate school offering a variety of Master's Degrees in Business (MBAs), Software Engineering, Digital Arts, Electrical Engineering, and Computer Engineering. They even have a handful of Doctoral programs for Business Administration, Electrical Engineering, and Interdisciplinary Science. Their enrollment before last year was 700 students. Then in 2013 they became accredited from the Western Association of Schools & Colleges, and their enrollment shot up to 2,000. At that level of enrollment, they have completely outgrown their Downtown San Jose digs and are upgrading to a 76,500 SQFT building at 2711 North First Street. This will provide them with triple the space as their former headquarters on San Fernando Street. And yet, there is still more. ITU would like to add undergraduate programs in the future targeted towards international students. This may include building a ground-up residential campus in the future to complement their new educational facilities. We could have a new world class university in the making here right in the middle of Silicon Valley. 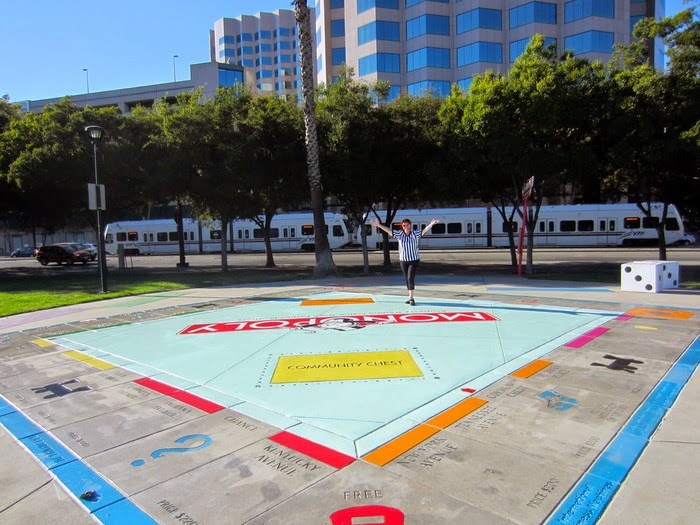 The largest Monopoly board in the world needs your help! There are four tables with checkerboard centerpieces that have to be replaced due to wear and tear over the last 10 years and some vandalism. Since Monopoly in the Park does not receive any funding from the city, they are looking to the community to help fund these new tables that will be available for all to enjoy (and this time they will be coated with anti-graffiti sealer to protect and preserve this investment). To contribute, please head over to the Kickstarter page over here. Hat tip to Karl Schramm for alerting me to this. 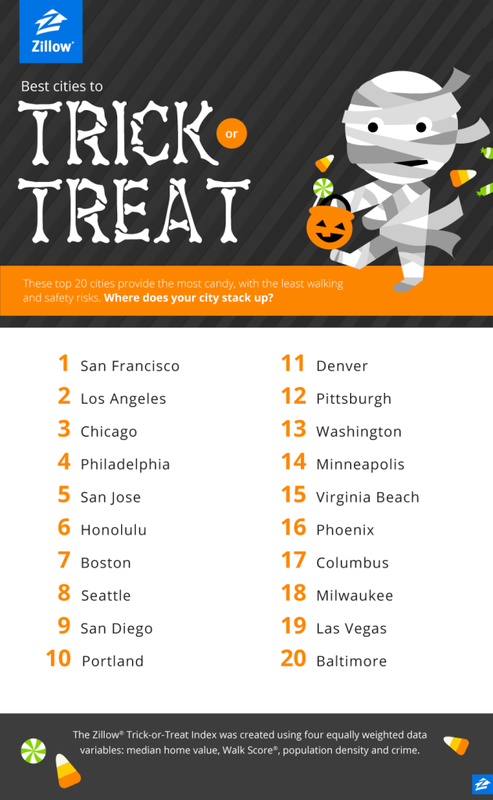 San Jose has again made the list of Best Cities to Trick or Treat! Zillow creates this list using four equally weighted variables: the Zillow Home Value Index, population density, Walk Score, and local crime data. This should theoretically provide the cities that provide "the most candy, in the least amount of time, with the fewest safety risks." 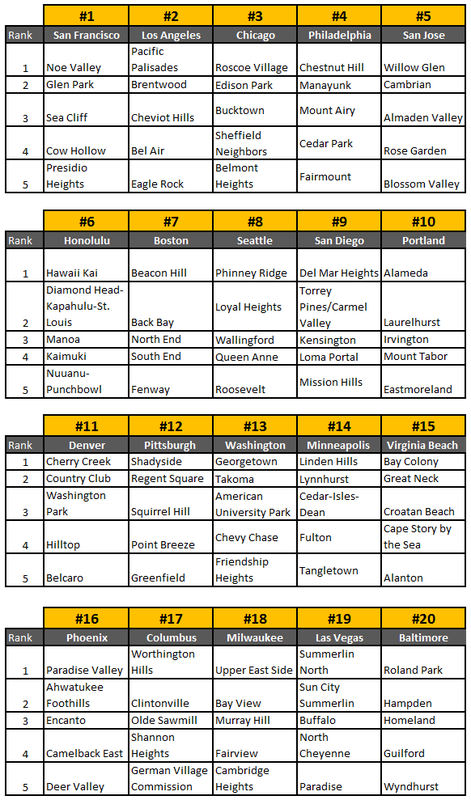 For 2014, San Jose ranked #5 on the list. This is one slot below last year; however, I could see us easily moving up again next year based on the criteria. Within San Jose the top neighborhoods for trick-or-treating were Willow Glen, Cambrian, Almaden Valley, Rose Garden, and Blossom Valley--in that order. To see the other cities that made the list, just scroll down or hit the source link. 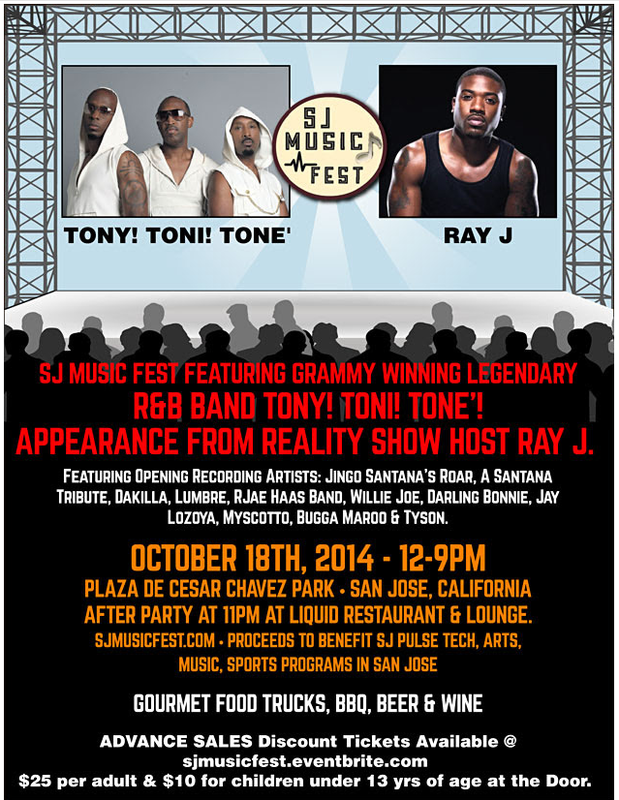 The SJ Music Fest is coming to Plaza de Cesar Chavez tomorrow between noon and 9pm. The event will be headlined by grammy winning R&B band Tony! Toni! Tone'! In addition, you'll have Jingo Santana's Roar (A Santana Tribute), Dakilla, Lumbre, RJae Haas Band, Willie Joe, Darling Bonnie, Jay Lozoya, Myscotto, Bugga Maroo & Tyson. To complement the music, there will be gourmet food trucks, BBQ, beer, and wine. At 11pm, there is also an after party at Liquid Restaurant & Lounge. The proceeds for the SJ Music Fest will benefit SJ Pulse tech, arts, music, and sports programs in San Jose. More info here. Sourisseau News: "Our Japanese Neighbors"
The latest edition of Sourisseau News features a more somber story on what happened to Japanese Americans in San Jose during World War II. The video is less than three minutes long and as always is well worth your time. Watch it through the end for a surprisingly ironic ending to the story. Our Japanese Neighbors from WMS media Inc. on Vimeo. 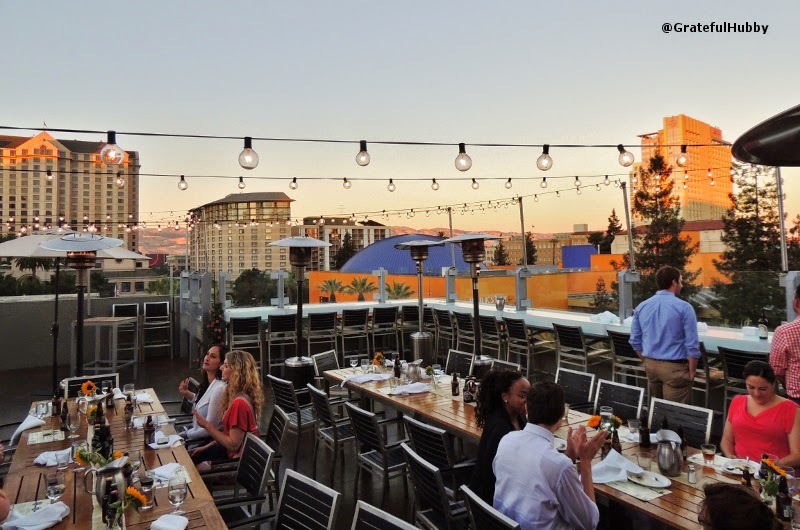 The latest Silicon Valley Restaurant Week is here and it starts today! Dozens of restaurants are participating with fixed price 3-course meals and the bulk of them are in San Jose. In fact, 14 of the restaurants are in Downtown San Jose and 4 are in Santana Row. To see the full list of restaurants along with menus, click here. Content Magazine Pick Up Party! My favorite magazine is hosting their latest pick up party at the most unique restaurant in San Jose--Orchestria Palm Court. Part restaurant, part soda bar, part museum of autonomous music machines from the early part of the last century... you won't find another place like this. I couldn't think of a better location for Content to release an issue entitled "Retro." 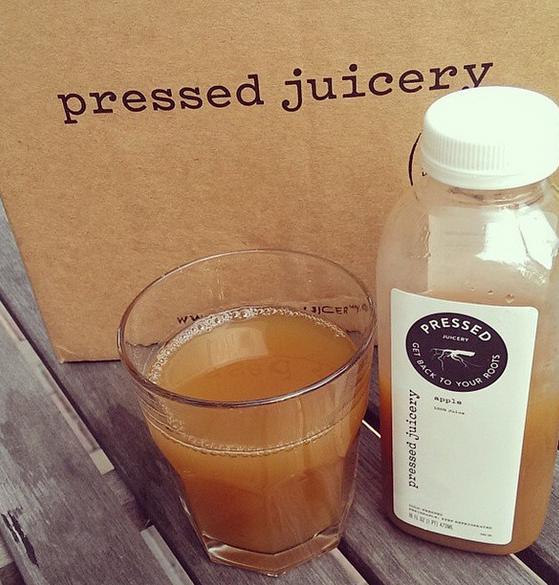 The pick up party runs from 6-8PM at 27 E. William Street. Subscribers will even get a free appetizer. While you're there, try a gem salad and anything from their soda bar. 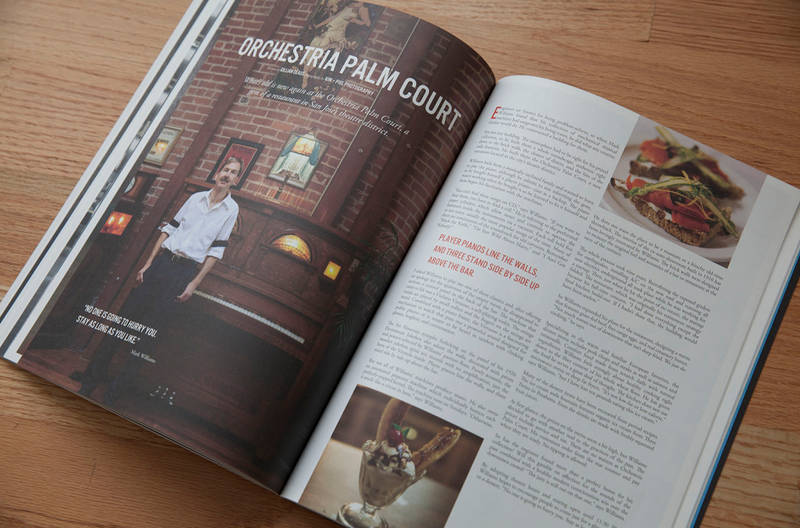 Come celebrate our new issue, 6.4, "Retro," with the Content Magazine community by going back to a time of soda jerks, player pianos and jukeboxes at Orchestria Palm Court. Featured in Issue 5.5, "Feast," come discover this hidden gem for yourself. Subscribers, Contributors and People Featured will get a free appetizer and a copy of the latest issue. Non-subscribers can purchase the latest copy for $5 (50% off) at the Pick Up Party. Stop on by. Meet new people. Learn new reasons to love your city. More Apartments Planned for SoFA! SoFA is on fire lately when it comes to new projects. Just as construction for The Pierce is getting into full swing, Core Development Co. is proposing a 105-unit apartment project on 598 S. First Street right across the street. This is an important corner at the intersection of South First and Reed Streets and is currently being occupied by an Enterprise Rent-a-Car (will be relocated). The building will be either five or six stories--five based on the source link and six based on the rendering--and include 2,170 SQFT of retail on the ground floor. The site of the project is only 2/3 of an acre, making the project quite dense for a building this size. This will be a very nice expansion of the SoFA district, which is quickly becoming the next big hotspot Downtown after San Pedro Square. I thought I knew about every entertainment option Downtown, but this one is completely new to me. Apparently there is a murder mystery dinner show at The Hilton called The Dinner Detective. It is a fully interactive show along with a four course meal that sounds very intriguing. The cost is $81 per person, which sounds completely worth it for this kind of unique and intimate experience. For more information, head over to The Dinner Detective website. Cache Bouren and Tomoyo Yoshinaga from the famous Singlebarrel "speakeasy" in Downtown San Jose will be touring seven libraries in Silicon Valley to talk about the colorful history behind craft cocktails. 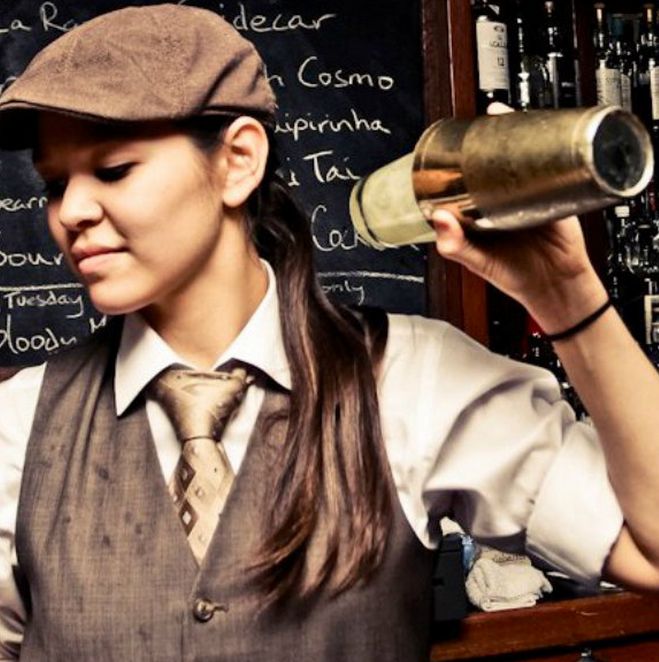 The free presentation will also discuss different techniques and styles of mixing and are unique to the craft cocktail movement. While there won't be any alcohol served (darn) you will be able to sample various herbal flavors often used in cocktails. Also on display will be a selection of vintage bar equipment. To see the full list of presentations, scroll down to the "WHERE and WHEN" section below. The craft cocktail movement, with its emphasis on spice, flavors and intelligent mixing, has been an outgrowth of the growing interest in slow food. Providing the opportunity to taste and experience a variety of cocktail concoctions has fashionably become the center of many popular new restaurants and bars. Lesser known in the craft cocktail trend is the cocktail’s vivid and colorful history of how these drinks came into being or the characteristic ideas and expertise that go into making a distinctive and flavorful beverage. A free presentation, discussing the history of the cocktail as well as techniques and styles of mixing that are unique to the current craft cocktail movement, will be offered at various SCCLD Libraries from now until January 2015. Craft bartenders and cocktail enthusiasts, Cache Bouren and Tomoyo Yoshinaga will be touring seven SCCLD libraries. Bouren, with over twenty years of hospitality and beverage experience, will share his passion for high quality ingredients paired with exceptional service and classic bar techniques. The events are free and open to the public. No reservations required. No Alcohol will be served at the event; however, library books describing many of the recipes highlighted in the demonstration will be available for check out. Patrons will have the opportunity to sample and identify various herbal flavors often used in cocktails. Along with the demonstration, vintage bar equipment will be on display. Breast cancer survivors Peggy Fleming and Kim Vestal are judging a BRA Art show and decorating contest at Hotel Valencia (Santana Row) this Wednesday, October 15th from 4pm-7pm. The winners will get a shopping spree at Victoria's Secret. This is part of a national campaign to support women and their families who are living with breast cancer and undergo mastectomies. To learn more and register, click here. 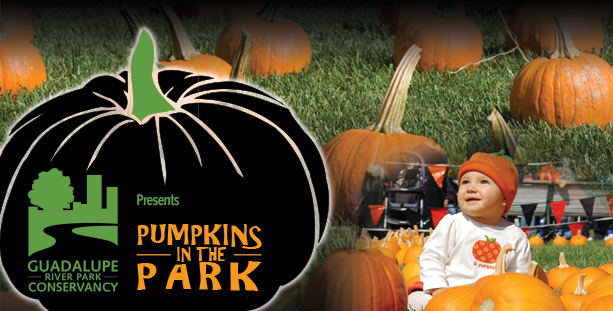 For more information check out the Pumpkins in the Park website over here. One of the largest "e-sports" events ever to take place in the US is coming to San Jose. 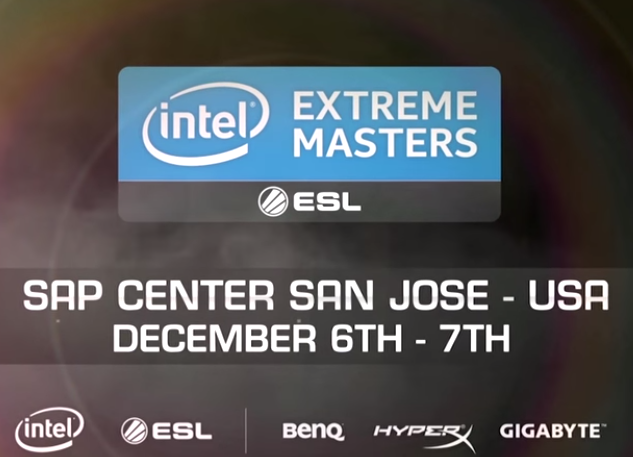 The Intel Extreme Masters tournament will host up to 18,000 people on Dec. 6-7 at the SAP Center. Instead of watching a Sharks game, visitors will watch teams competing in League of Legends and StarCraft video game competitions. You are probably asking yourself the same question I did... "is there really enough demand for 18,000 people to come watch others play video games?" Twitch--a site that streams people playing video games and tournaments--claims that it will stream the tournament live to an estimated 4.5 million viewers. Wow. Given we are in the middle of Silicon Valley, San Jose should become a video game mecha. There is a real opportunity here, especially given how popular e-ports apparently are becoming. For more info on the Extreme Masters tournament, check out the website over here. 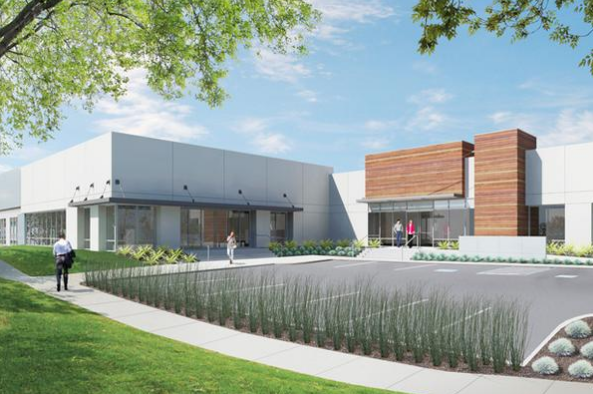 Santa Clara-based Citation Homes recently purchased a parcel at 751 S. Winchester Boulevard in San Jose. The only thing on the lot today is a Toys R Us, which will eventually be razed to make way for a mixed-use project that is still in the early planning stages. There aren't many details, but one of the things we know for sure is that the new project will contain both retail and housing. However, don't expect shovels in the ground anytime soon. 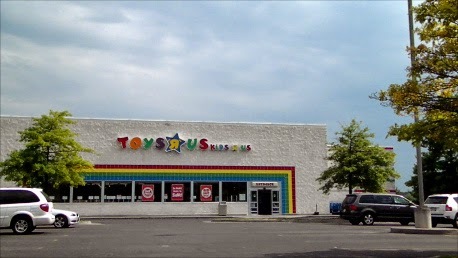 Toys R Us has a lease that runs at least until early 2016 and could likely be extended even further. For more info, hit the source link below. The first full-length feature film about San Jose is going to premier at the California Theatre on January 22nd. Changing Boundaries will track the stories of of the working people, political leaders, and dreamers who built this city. Interviews that will be weaved into the film include Tom McEnery, Blanca Alvarado, Norm Mineta and a variety of historians. CreaTV San Jose, History San Jose, and Norm Kline Productions are working in partnership to produce this documentary. The film is directed by Tricia Creason-Valencia and narrated by actor Peter Coyote. The musical score is composed by Robert Barry of Soundtek Studios and will reflect the historic time periods and rock and roll "firsts" in San Jose. I can't wait to see the final product! For more information follow the Changing Boundaries Facebook page over here and check out the trailer below. You can also get your tickets for the premier here. The San Pedro Square Market--which transformed the block and became one of Downtown's most popular destinations--is celebrating its 3 year anniversary. Spuds Potato Bar is now open and brings the total number of businesses to 25. A two-story expansion on a 13,000 SQFT parcel across the street is already in planning. The Downtown Ice skating rink is under construction and the Circle of Palms and opens at 5pm on Nov 14th. Twice per night at 6pm and 9pm the lights on the trees will dance to music. The SoFA Market is open at 387 S. First Street. The Falafel Bar and Vero's Coffee are the first two vendors. Next up is the Fountainhead Bar [Josh: with architecturally-themed drinks], a Ramen restaurant, and perhaps a burger or pizza place. SoFA-based Cowgirl Bike Courier has started delivering legal docs, medical supplies, packages, flowers, and groceries throughout San Jose. AFK Gamer Lounge is moving into 15,000 SQFT at 163 W. Santa Clara (formerly Los Gatos Brewing Company) and will feature more than 100 networked gaming rigs. Developers, bankers, and investors will get a glimpse of how hot Downtown San Jose has become during a "Center of Opportunity" tour on Oct. 30th. The Downtown Association is seeking event producers and artists to increase activation of Downtown's public spaces with events, exhibits, and interactive projects. The Downtown San Jose Activation Fund will issue grants up to $3,500 for original programming and up to $7,500 for special productions that bring people together for dance, deep discussion, or positive social interaction.